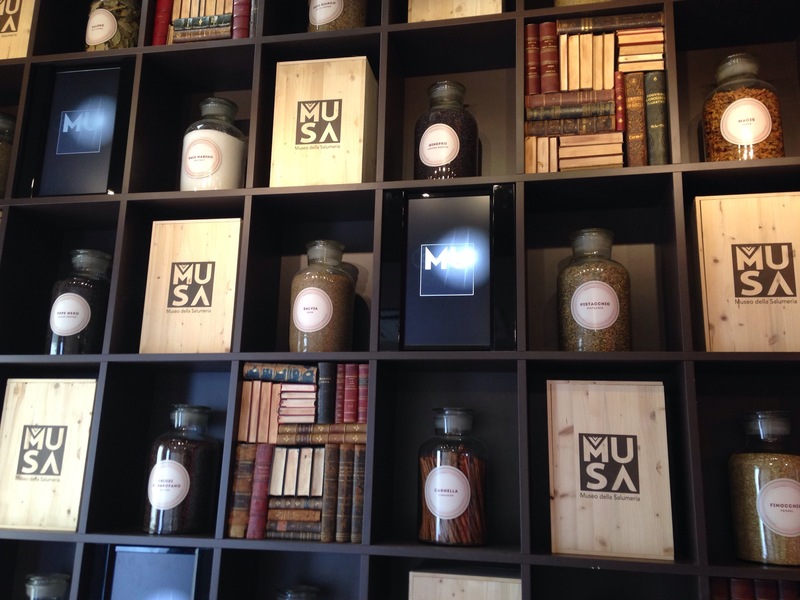 Musa – the First Charcuterie Museum in Italy. 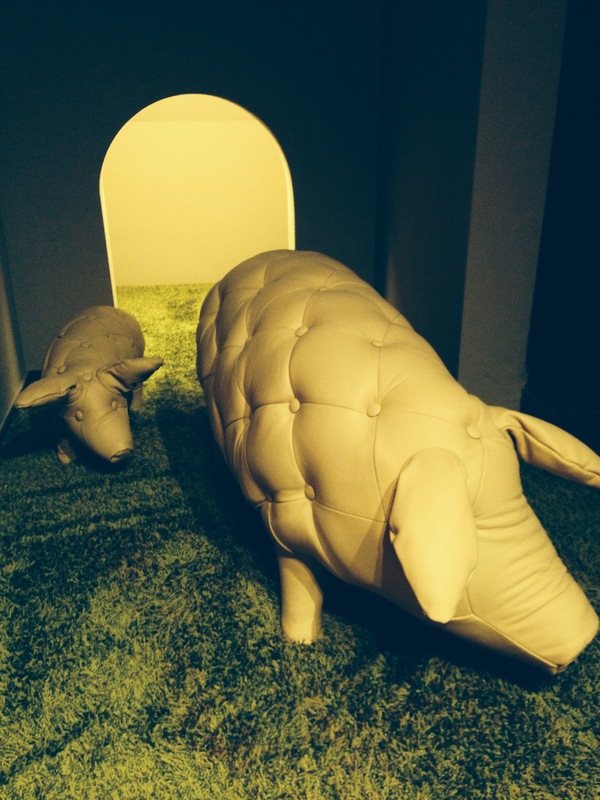 The first charcuterie museum in Italy, “MUSA”, introduces its visitors to multiple aspects, stages and perspectives of traditional meat curing process. Founded in 2013, the three story building is located in Castelnuovo Rangone, Modena, Italy right next to the headquarters of Villani Salami plant – the oldest and biggest regional salami producing company, which has been sustaining the craft of charcuterie producing for over 120 years. Throughout the galleries of the museum building, its multimedia booths, glassy models and other thematic images visitors are brought into the atmosphere of gastronomic heritage and of meat gourmet preparation all across Italy. The itinerary incorporates ten major parts maintaining a balanced mix of the practical side of sliced-ham making along with the spirit and the pride artisans take in their work. 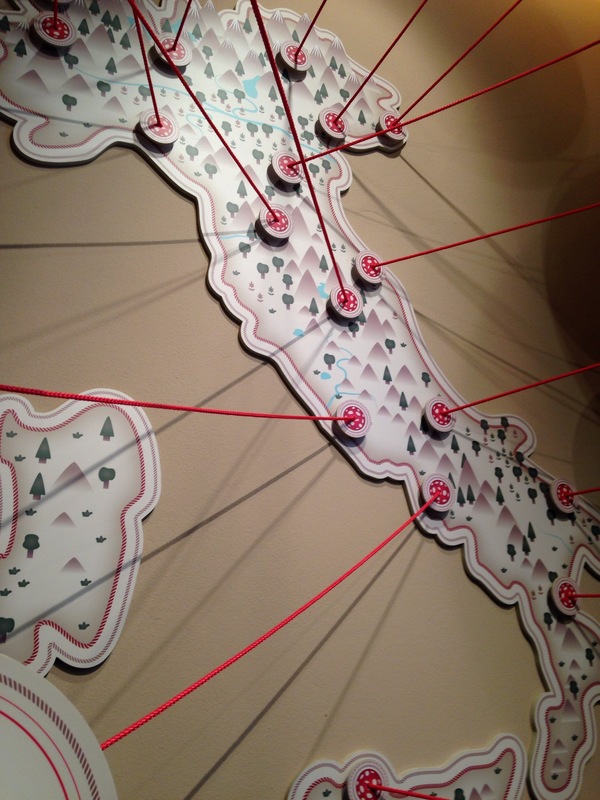 With the opening of Museo della Salumeria the commune of Castelnuovo Rangone (MO) pays tribute to the Villani S.p.A – a family-owned charcuterie production business existing since 1886, currently exporting cured meat to over fifty countries around the world. 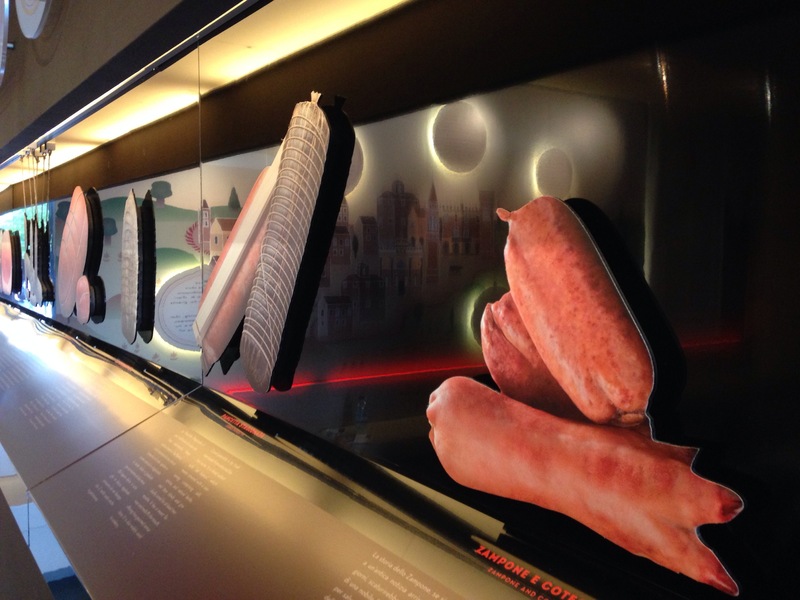 The gallery hallways feature the memorable images of historical tools, techniques and artifacts used in the old times for curing salami, mortadella and many other renowned culinary delights. As time shows, the salami-making process cannot be fully replaced by advanced technologies and modern equipment. The successful combination of novelty coordinated with manual approach and professional human skills is what makes the Italian-made charcuterie a one-of-a-kind delicacy. The visit course is divided into ten different sections each covering a particular aspect of the meat preparation process: curing, braising, trussing, slicing and more. The 3D crystal mock-ups of trussed meat on display, hanging platters of flowery cold cuts and other descriptive imagery convey the concept and culture of the multistage cooking course. Apart from getting impressed by the appetizing interior design, guests can gain knowledge about the various phases of the famous salami making. 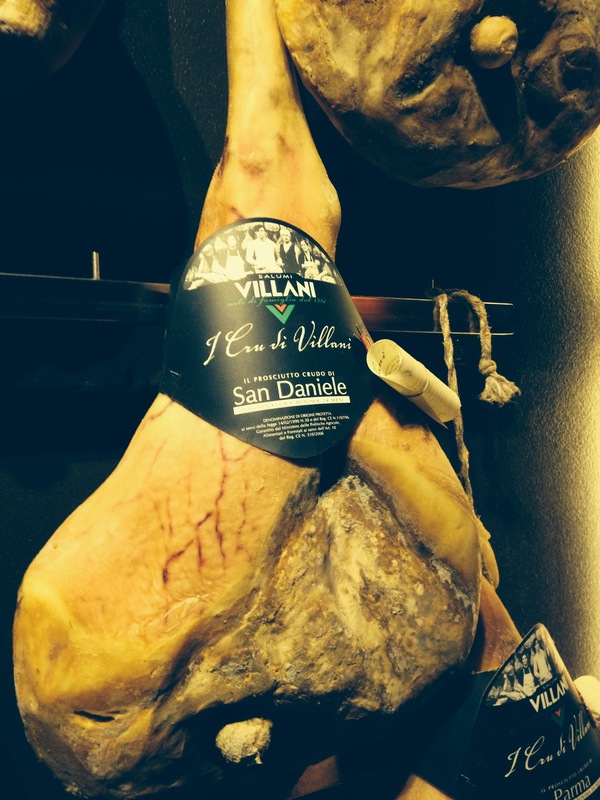 Throughout the course of years evolution of the product can be traced; the global tendency of healthy lifestyle in today’s world has imprinted itself in the manufacturing of the cold cuts as well: sliced ham contains less salt and fat complying with international food standards. By following the historical thread of the charcuterie evolution one gets the impression of what stands behind the legendary gastronomic delight: technique and precision side-by-side with passionate appreciation and dedication to work. Visitors expressing real-time interest to the cooking details may be armed with practical knowledge by gaining it from videos, textbooks and other visual aids available in respective halls – guidelines and old recipes are offered for public use. Author Emilia DeliziaPosted on 18 September, 2014 18 September, 2014 Categories Bologna, Gourmet food tours in Italy, ModenaTags day trip idea from Bologna, ham tour Bologna, modena, musa charcuterie museum, visit salami factoryLeave a comment on Musa – the First Charcuterie Museum in Italy.